Software expertise: 508 pages, pdf, Official DAZ 3D Documentation. Please note that the Bryce 5.5 manual may be missing information. 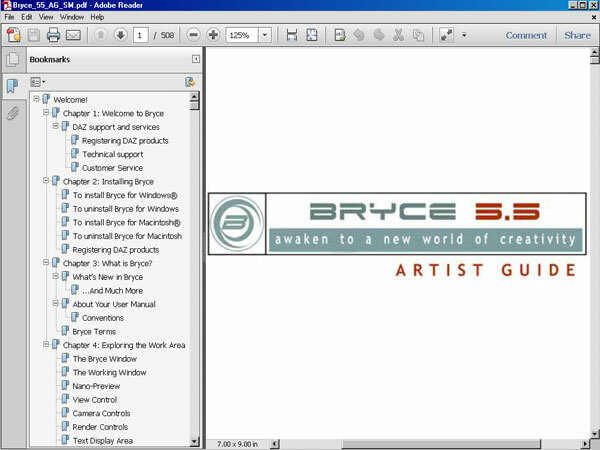 In those cases, please see the Bryce 6 manual.